Your OB/GYN is an important member of your healthcare team during your pregnancy journey. 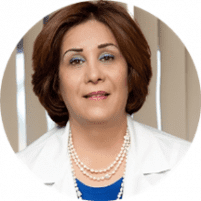 Mahin Amirgholami, MD, FACOG, at West Hills OBGYN in West Hills, California, is an experienced obstetrician who has devoted her life making sure you have a happy and healthy pregnancy, whether your pregnancy is normal or high risk. If you’re in search of a knowledgeable OB/GYN who goes above and beyond to make your pregnancy special, call the office or schedule an appointment online. Obstetrics is a specialized area of medicine that focuses on pregnancy. To become an obstetrician, Dr. Amirgholami successfully completed additional education and training in the management of pregnancy, labor, and puerperium, which is the time period following childbirth. What can I expect during an obstetric visit? For Dr. Amirgholami, every pregnancy is unique and as a result, your obstetric visit protocol will vary. In general, you can expect your first obstetric visit with Dr. Amirgholami to be the most extensive. During this visit, she will spend a great deal of time with you going over your health history, as well as your partner’s health history. She also conducts a thorough physical and pelvic exam, confirms your pregnancy, and estimates your due date. She will also review nutrition and exercise guidelines and develop your individualized pregnancy plan, which includes frequent follow-ups and special testing. At each follow-up visit, Dr. Amirgholami will check your weight, abdominal growth, blood pressure, and urine. She’ll also talk to you about your pregnancy concerns. Your pregnancy may be considered high risk if there’s concern for you or your baby’s health during your pregnancy. You may also be considered high-risk if you’ve had multiple miscarriages or stillbirths. As a high-risk pregnancy, Dr. Amirgholami may recommend more frequent follow-ups to monitor both you and your baby’s health. What is a delivery plan? A delivery plan is your plan for the birth of your baby. Dr. Amirgholami will go over all your delivery options and help you make the best choice for you and your baby, whether it’s a natural vaginal birth or elective cesarean section. Dr. Amirgholami also offers various pain control options, including an epidural and hypnobirth therapy, which is a special form of hypnotherapy that helps you control your pain. For a caring and compassionate obstetrician, call West Hills OBGYN, or schedule your appointment using the online booking button.